Black women have received little attention for the critical role they have played in maintaining their families and contributing to their communities. After running across a brief reference to Rachel Whitfield (1814-1908) a “former slave who made it on her own as head of a household, subsistence farmer,” I found Rachel’s story in Women in Early Texas, an account written by her granddaughter, Lela Jackson. In 1852, Rachel and Jim Whitfield lived with their six children in Arkansas, Missouri. Their master, a man named Whitfield sold Jim to a slave owner, and the family never saw him again. Rachel, age thirty-eight, and the children were put together on the auction block and purchased by Washington McLaughlin. He took them on a months-long trip to Texas, sometimes on foot and other times in an oxcart. They eventually settled on a site with deep, rich soil on the north bank of the San Gabriel River in Williamson County. The slaves cut thick brush and a variety of trees to clear the land, built cabins, and prepared the soil for planting. Lela Jackson writes that McLaughlin “was not even-tempered and, at times, whipped the slaves.” At other times he gave them passes, which the law required for a slave to leave an owners’ land. If they were caught without a pass, they could be whipped for being away from their owner’s property. They stood in silence, stunned, unsure of what freedom meant. Finally, the cook went to the kitchen and prepared breakfast for the McLaughlin family. After the master had eaten, he told all the slaves to leave, not allowing them to eat or carry anything with them. They slipped along the river, finding places to hide, unsure of their safety, listening for any strange noise. Rachel’s oldest son Allen married that spring and helped Rachel and the younger children settle in a log cabin next to a creek. They foraged for wild plums and berries, ate pecans and black walnuts, and got permission to milk a stray cow in exchange for raising its calf for the owner. The milk, butter, and cream stayed fresh in a bucket they lowered into a well. They moved about as the seasons changed, picking cotton and vegetables for landowners. They gathered prairie chicken eggs and trapped birds, squirrels, and possums. They ironed clothing for white people using flat irons that they heated on a log fire in the yard. Rachel made quilts and asked men to save their ten-cent Bull Durham tobacco sacks, which she ripped open, bleached and used to line her quilts. The high point in their lives came on “pastoral days,” the Sundays when a preacher held worship services. People came from miles around, and for those who could not read, the leader “lined” out the words. They also enjoyed baptizings in the creek, sing-songs, camp meetings, and dances. When someone died, Rachel and her daughter, Demmie, prepared the body and laid it out on a board or a door that was balanced on chairs. Coffins were made from the plentiful local cedar and stained dark brown. Rachel, who lived to ninety-three and all her children held the respect of both their black and white Williamson County neighbors. She sought to educate the black community by leading voter registration seminars, and she urged black churches to speak up about public issues without endorsing specific candidates. She pressed white businesses to hire blacks, using boycotts, protest demonstrations, and letter-writing campaigns to influence the change. mail carrier, to act as the plaintiff against the university, she raised money to pay his legal expenses. Years later Sweatt claimed that it was White’s encouragement that helped him maintain his resolve. When the state offered to open a separate black university with its own law school in Houston instead of integrating the University of Texas, White supported Sweatt’s rejection of the proposal on the basis that separate was not equal and only continued the status of Jim Crow. The victory of Sweatt v. Painter before the Supreme Court in June 1951 opened the door for Brown v. Board of Education and the march toward dissolving the color line in education. 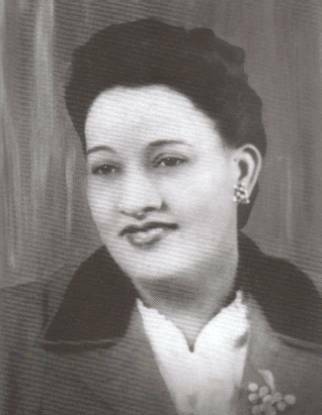 A week before Lulu White’s unexpected death in 1957, the national NAACP established the Lulu White Freedom Fund in her honor. Jim Shankle was born in 1811 on a Mississippi plantation. When he married Winnie, she already had three children fathered by the plantation owner. Soon after the marriage, Jim overheard the business deal their master made with a planter to sell Winnie and her children. He knew they were taken to a plantation in East Texas. He grieved for several days and then made up his mind to find his family. With a price on his head as a runaway slave, he headed west, always moving at night, foraging in fields for his food, and hiding in the fields when he heard others on the road. Not daring to use a ferry, he swam both the Mississippi and Sabine rivers. After a 400-mile journey, he reached East Texas and moved at night from plantation to plantation asking about Winnie. Finally, Jim found her as she collected water at a spring. For several days, Winnie hid Jim and brought food to him at night. Some accounts say Winnie’s master found Jim, other stories say she told her master about her husband. Whatever the truth, the plantation owner agreed to buy Jim. In addition to Winnie’s three children, they raised six of their own. When emancipation came following the Civil War they became farmers and began buying land with their partner Steve McBride. Eventually, they held 4,000 acres, and as other black families began settling in the area, they formed the community of Shankleville. The Shankles and McBride oversaw the building of a school, church, a cotton gin, sawmill, and gristmill. Steve McBride, who could not read, married one of the Shankle daughters. He established McBride College (1883-1909), fulfilling his dream of helping others receive the education he had been denied. Winnie Shankle died in 1883 and Jim died five years later, ending a love story that has become an East Texas legend. Texas Historical Marker story of Shanklesville. bayous and lakes—did not lend itself to cotton growing. The vast slave plantations thrived much farther east and north in the rich bottomlands of Texas’ rivers. The slaves sold on the front porch of the Casimir House, an elegant hotel and social center that used slaves to serve its guests, generally were taken inland by planters who came to Indianola to purchase supplies. Most of the blacks in Indianola were free—having bought their freedom or been freed by generous owners. They worked the docks and they operated pig farms out on Powderhorn Lake. Unlike most southern towns, the residents of Indianola accepted the presence of free blacks, and despite the law against freedmen living in the state without Congressional approval, they were allowed to go about their business without interference. As secession talk grew, and a few agitators arrived from the north, Indianola residents expressed confidence that Southern saber rattling would force the North to back off. However, the arrival of a gentleman who was accused of being an abolitionist prompted city authorities to force him onto an outbound ship and appoint a “vigilance committee,” to maintain order. During the fall of 1860 merchants continued to thrive, and talk of Lincoln’s possible election caused little concern and no apparent disruption in the cooperation between northern business people pouring into the port and local shipbuilders producing steamers at a brisk pace. The newspaper editor touted the rosy financial picture, expecting it to continue indefinitely. On the night of November 21, a well-advertised mass meeting took place at the courthouse, preceded by a parade. An owner of one of the shipyards on Powder Horn Bayou, led the parade, carrying a flag emblazoned with a Lone Star, the symbol of the former Republic of Texas. Sewn by local women for the event, the flag drew such wild applause it drowned out the band’s rousing march music. Participants carried twenty-eight poles topped by huge, transparent pieces of glass with candles or kerosene lamps illuminating phrases like The Issue is Upon Us; Who is not for us is Against us; The Time Has Come; States’ Right; Millions in Number, One in Sentiment; and The North has Broken the Symbols of Union. The crowd filled the courthouse to overflowing. A judge gave a rousing speech saying they must take decisive action. Then he appointed a committee to draft resolutions representing the views of Indianola citizens. While the crowd waited for the resolutions to be written, the band played the French national anthem, a stark symbol of revolution. After another loud and emotion-laced speech, the committee returned with the support of a secession convention and demands for Texas to reclaim its right to retake the powers it delegated to the federal government when it accepted statehood. The dye was cast. Even before the war officially began, United States military personnel that had manned the posts along the western edge of Texas settlement to protect colonists from Indian attack, began marching through the streets of Indianola to the docks where federal ships waited to carry them away. Families living on the edge of Texas’ western frontier were left to protect themselves from the Comanches who soon took advantage of the opportunity to reclaim some of their hunting grounds. Texas in the Civil War, Courtesy Texas Parks and Wildlife. Most Germans and other European immigrants that settled in Texas did not want the South to secede. First, most of the new arrivals did not have land suitable for cotton or sugar cane production and did not need slave labor. Second, they felt a loyalty to the United States, the country that had just welcomed them to its shores. Finally, most immigrants did not believe in slavery, having come from countries where peasants worked for such meager livelihoods, that they yearned for the opportunities that freedom offered. But, like other Unionists such as Sam Houston and Robert E. Lee, they felt a loyalty to their new home and did not leave the South. Indianola merchants soon realized that they had been wrong in their belief that they could continue business as usual. The federal government quickly began a blockade of all the Gulf Coast, which resulted in the nightly adventure of blockade runners moving into the Gulf with cotton bound for trade with European, especially British, ships eager to take the Confederacy’s “white gold” in exchange for essential Winchester rifles, medical supplies, clothing, and ammunition. The dangerous blockade routes through bayous and backwater canals that were used to transport the valuable cotton could no longer sustain the commercial traffic. Business in Indianola and in the towns it supplied in western Texas came to a sudden halt. Invasion and occupation will be the topic of next week’s blog post. From the collection of the Calhoun County Museum, Port Lavaca, Texas. On the same day, other fires destroyed half of the square in Denton and burned a store in Pilot Point. Fires also erupted in Honey Grove, Jefferson, and Austin. The city leaders of Dallas (population 775) first believed the extreme heat—105 to 113 degrees––caused spontaneous combustion of the new and volatile phosphorous matches. They concluded that the matches, stored in a box of wood shavings at a drug store, ignited and quickly consumed the entire building before spreading over the downtown. Citizens in Denton, after experiencing similar problems with “prairie matches,” concluded that spontaneous combustion caused their city’s fire. In Dallas, however, white leaders stirred by the prospect of Abraham Lincoln’s election and encouraged by Pryor’s claims, decided on a sinister slave plot hatched up by two white abolitionist preachers from Iowa. They jailed the preachers, publically whipped them, and sent them out of the county. The “troubles” were not over. By the end of July, towns throughout North and Central Texas organized vigilance committees to find and punish the conspirators. The committees terrorized the slave community. Interrogations focused on white itinerant preachers who were cited as insurrection leaders. Despite fears of a slave rebellion that lasted until after the Civil War, there was never an organized group of slaves in Texas that shed white blood. Vigilantes often obtained “confessions” and evidence points to white leaders spreading the rumors to garner public support for secession. Black women have received little attention for the critical role they have played in maintaining their families and contributing to their communities. After running across a brief reference to Rachel Whitfield (1814-1908) a “former slave who made it on her own as head of a household, subsistence farmer,” I began searching for more. How did an uneducated black woman survive after the Civil War? 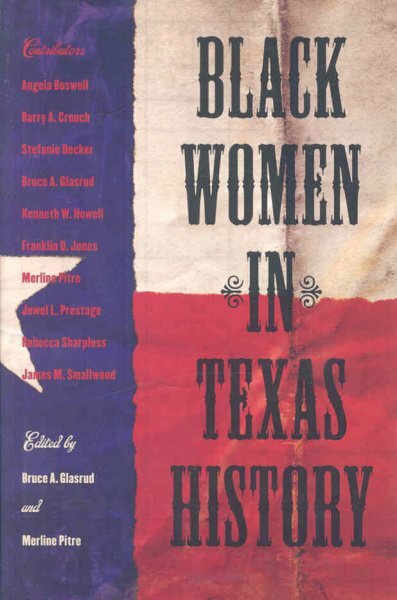 I found Rachel’s story, which was written by her granddaughter Lela Jackson, included in Women in Early Texas. In 1852 Jim and Rachel Whitfield lived with their six children in Arkansas, Missouri. Their master, a man named Whitfield sold Jim to a slave owner, and the family never saw him again. Rachel and the children were placed together on the auction block. Washington McLaughlin purchased the family, and they began a months-long trip to Texas, sometimes on foot and others times in an oxcart. They settled on a site with deep, rich soil on the north bank of the San Gabriel River in Williamson County. The slaves cut thick brush and a variety of trees to clear the land, built cabins, and prepared the soil for planting. Lela Jackson writes that McLaughlin “was not even-tempered and at times whipped the slaves.” At other times he gave them passes in compliance with the law that required slaves to carry a pass any time they left the owner’s property. If they were caught without a pass, they could be whipped for being out without permission. The slaves stood in silence, stunned, unsure of what freedom meant. Finally, the cook went to the kitchen and prepared breakfast for the McLaughlin family. After the master had eaten, he told all the slaves to leave, not allowing them to eat or carry anything with them. They slipped along the San Gabriel River, finding places to hide, unsure of their safety, listening for any strange noise. Rachel’s oldest son Allen married that spring and helped Rachel and the younger children settle in a log cabin next to a creek. They foraged for wild plums and berries, ate pecans and black walnuts. The owner of a stray cow gave the family permission to keep the milk in exchange for raising the calf for its owner. They kept milk, butter, and cream fresh by storing it in a bucket lowered into a well. With the change of seasons, they moved about, picking cotton and vegetables for landowners. They gathered prairie chicken eggs and trapped birds, squirrels, and possums. They ironed clothing for white people using flat irons heated on a fire log in the yard. Rachel made quilts and asked men to save their ten-cent Bull Durham tobacco sacks, which she ripped open, bleached, and used for the lining. The high point in their lives came on “pastoral days,” the Sundays when a preacher held worship services. People came from miles around, and for those who could not read, the leader “lined” out the words. They enjoyed baptizings in the creek, sing-songs, camp meetings, and dances. When someone died, Rachel and her daughter Demmie prepared the body and laid it out on a board or a door that was balanced on chairs. Coffins were made from the plentiful local cedar and stained dark brown. Lela Jackson writes that her grandmother, who lived until she was ninety-three and all her children held the respect of both their black and white Williamson County neighbors. largest landholders in Texas, owned 105 slaves, and operated the 2,000-acre Sunnyside Plantation near Hempstead. Cuney’s mulatto mother Adeline Stuart was one of the colonel’s slaves, but she worked as the colonel’s chief housekeeper and bore eight of his children. Cuney’s mother made sure that he and his siblings never lived in the slave quarters or worked as plantation field hands. In fact, Cuney learned to play the bass violin and carried it with him when he traveled with his father on trading trips. During the time Cuney was growing up, his father also had a white family. About the time his father married his second wife in 1843, he also embarked on a political career as a member of the House of Representative of the Republic of Texas, a delegate to the Convention of 1845 that voted for Texas annexation to the United States, and brigadier general in the Texas Militia. He also served in the Texas State Legislature and the State Senate. In 1853, not long after Colonel Cuney married his third wife, he left his plantation in the hands of an overseer and moved all his family, including Adeline Stuart and her children with him to Houston. That same year he began freeing his black children, starting with Cuney’s older brother Joseph who was sent to the Wylie Street School for blacks in Pittsburg, Pennsylvania. Over the years Colonel Cuney continued freeing his children and their mother Adeline Stuart. In 1859 Cuney and his sister Jennie were freed with Cuney going to school in Pittsburgh and Jennie going to Europe for her education. Jennie later passed as a member of the white community. The Civil War disrupted Cuney’s studies, and he spent the wars years working on steamboats between Cincinnati and New Orleans where he met and was influenced by black leaders such as P.B.S. Pinchback, who served for thirty-five days as Louisiana’s first black governor. 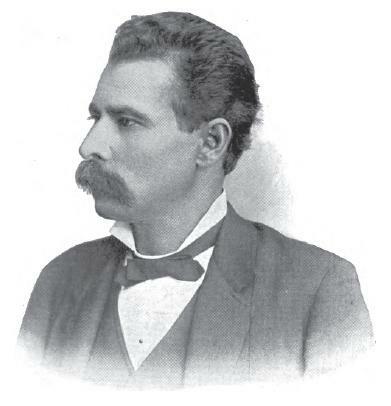 After the Civil War, Norris Wright Cuney settled in Galveston near the homes of his mother and brothers. He began studying law and took advantage of being a literate, educated mulatto son of a wealthy white man. He worked with the Freedmen’s Bureau and the Union League during the Reconstruction-era to push former slaves to the voting booth, which resulted in more than 100,000 blacks voting annually into the 1890s. When the Reconstruction Legislature established a public school system, Cuney worked to ensure that tax money also went to black students within the segregated system. accomplished pianist, folklorist, writer, and community organizer in Boston. She wrote Norris Wright Cuney: A Tribune of the Black People (1913), a biography of her father. Over years of Cuney negotiating with the white elite and despite serious strikes, unionized blacks finally gained access as workers on Galveston’s docks. After being elected Texas national committeeman in the Republican Party in 1886, Cuney became Texas party chairman, which was the most powerful position of any African American in the South at that time. However his position did not sit well with some Republicans in Texas and throughout the country, which led to some in the party trying to have black leaders expelled. Cuney coined the term “Lily-White Movement” to describe the Republican effort. In 1889 Cuney was appointed U.S. Collector of Custom in Galveston, the highest-ranking position of any black man in the South in the late nineteenth century, however, Cuney’s death that year coincided with efforts across the South to disfranchise black and poor white voters. Laws were passed to make voter registration difficult and Texas instituted poll taxes and white primaries that greatly reduced the number of black voters from the high of 100,000 in the 1890s to less than 5,000 in 1906. During the Great Depression racial strife in the unions dissolved much of the labor cooperation that had been established between blacks and whites. Despite Cuney’s legacy, which inspired other black leaders, and the designation by some historians of the period between 1884 and 1896 as the “Cuney Era,” it would take the passage in the 1960s of the Civil Rights laws before the right to vote was restored to blacks across the South. An account of Norris Wright Cuney’s life is portrayed in Douglas Hale’s A Southern Family in White & Black: The Cuneys of Texas. Black women have received little attention for the critical role they have played in maintaining their families and contributing to their communities. After running across a brief reference to Rachel Whitfield (1814-1908) a “former slave who made it on her own as head of a household, subsistence farmer,” I began searching for more. 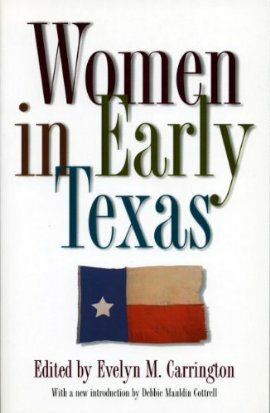 I found Rachel’s story in Women in Early Texas, an account written by her granddaughter, Lela Jackson. In 1852 Jim and Rachel Whitfield lived with their six children in Arkansas, Missouri. Their master, a man named Whitfield sold Jim to a slave owner, and the family never saw him again. Then, Rachel, age thirty-eight, and the children were put together on the auction block. They were purchased by a man named Washington McLaughlin, and they began a months-long trip to Texas, sometimes on foot and others times in an oxcart. They finally settled on a site with deep, rich soil on the north bank of the San Gabriel River in Williamson County. The slaves cut thick brush and a variety of trees to clear the land, built cabins, and prepared the soil for planting. Lela Jackson writes that McLaughlin “was not even-tempered and, at time, whipped the slaves.” At other times he gave them passes, which were required to leave his land. If they went out without a pass, they could be whipped for being out without permission. They stood in silence, stunned, unsure of what freedom meant. Finally the cook went to the kitchen and prepared breakfast for the McLaughlin family. After the master had eaten, he told all the slaves to leave, not allowing them to eat or carry anything with them. They slipped along the river, finding places to hide, unsure of their safety, listening for any strange noise. Rachel’s oldest son Allen married that spring and helped Rachel and the younger children settle in a log cabin next to a creek. They foraged for wild plums and berries, ate pecans and black walnuts, and got permission to milk a stray cow in exchange for raising its calf for its owner. The milk, butter, and cream stayed fresh in a bucket they lowered into a well. They moved about as the seasons changed, picking cotton and vegetables for landowners. They gathered prairie chicken eggs and trapped birds, squirrels, and possums. They ironed clothing for white people using flat irons that they heated on a fire log in the yard. Rachel made quilts and asked men to save their ten-cent Bull Durham tobacco sacks, which she ripped open, bleached and used to line her quilts. In 1946 when the NAACP began its push for integrating the University of Texas, there was only one state-supported black college in Texas—Prairie View A&M—and it did not offer training for professional degrees. White not only persuaded Herman Marion Sweatt, a black mail carrier, to act as the plaintiff against the university, she raised money to pay his legal expenses. Years later Sweatt claimed that it was White’s encouragement that helped him maintain his resolve. When the state offered to open a separate black university with its own law school in Houston instead of integrating the University of Texas, White supported Sweatt’s rejection of the proposal on the basis that separate was not equal and only continued the status of Jim Crow.